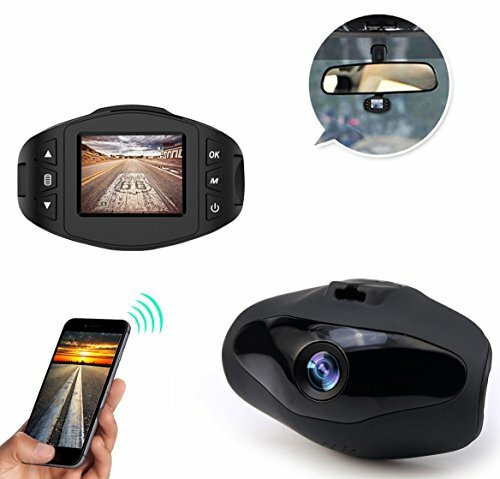 This is probably the smallest Dash cam on the market right now and a really helpful smart gadget, it’s so much fun to watch it . Delivery was quick, product as described. 3 of the 5 reviewers have only reviewed this product. This is an excessively large percentage of One-Hit Wonders which may indicate unnatural reviews. We counted 5 reviews for this product over the span of 68 days, an average of 0.1 reviews per day. If these reviews were created randomly, there would be a 99.9% chance that we would see 2 or fewer reviews on any given day. We didn't find any days exceeding this threshold.